MUMBAI: With most banks yet to pass on the benefit of lower interest rates to consumers following the rate cut last month, RBI governor Raghuram Rajan on Tuesday said the central bank cannot ask them to lower the rates, but eventually competition will force them to do so. "I think it is the pressure of the competition which will eventually force banks to pass through these rate cuts. So let us wait and see. It is not regulatory intervention...it's competition (that will force lenders to lower rates)," Rajan told reporters at the customary post-policy press briefing. To a question on why the RBI is not nudging banks to lower rates, Rajan said, "The Reserve Bank is not the owner and is not in any way involved in the day-to-day running of banks. Rate cut is the decision which the management of banks have to take. So, we cannot nudge them to cut lending rates." Despite a fall in long-term interest rates, treasury rates and corporate bond rates, banks' lending rates have remained flat, he said. After the January 15 rate cut, where RBI lowered the repo rate by 25 basis points to 7.75 per cent, only two state-run banks - Union Bank and United Bank - cut the rates. "Despite a generalised fall in the cost of funds, banks are yet to pass through these effects, as also the effects of the policy rate cut on January 15, into the spectrum of lending rates," Rajan said. "Of course, when you talk to banks they are very happy that we cut the rates. 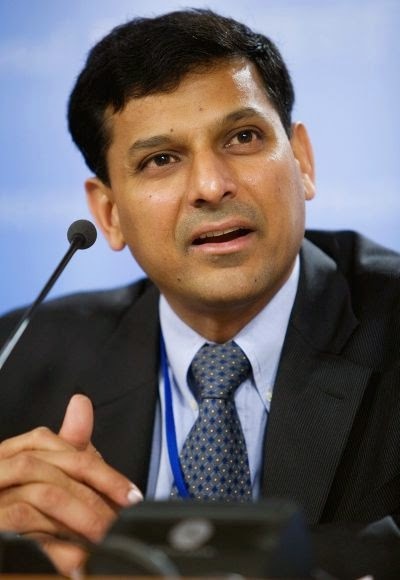 At some point my guess is that transmission has to take place," Rajan said. He said given the weak credit demand and as the overall financing has been quite strong because large corporates are going outside the banks, banks at some point in time will have to start lending again.